Renting a new property? Before moving in to your new home, be sure to check and conform to the items listed in a detailed rental inventory examples. This not only comes as protection on your case but also as insurance in case something is amiss in your new home and getting your deposit back. 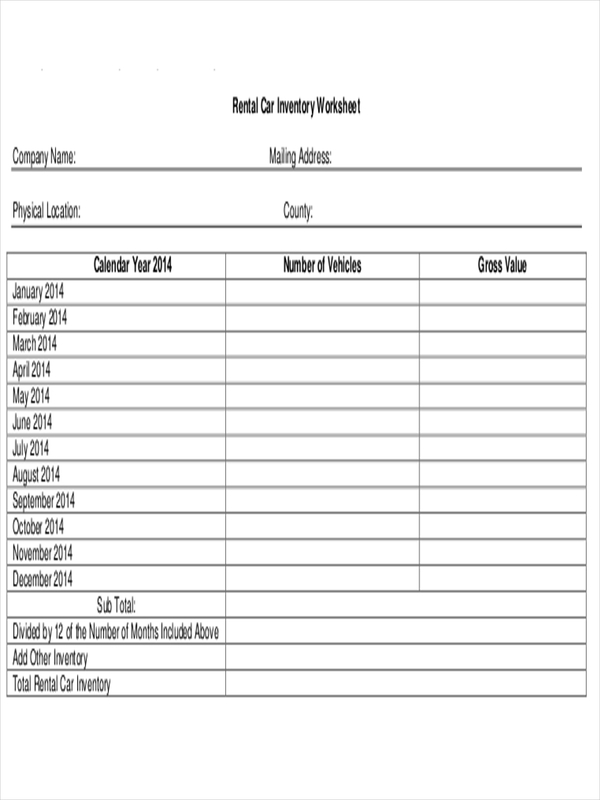 Inventory financing and physical property inventory lists can be fashioned out of the samples shown in the page. Scroll down to find out more regarding rental inventories and how they are structured. Feel free to download the samples by clicking on the download link button below the sample. 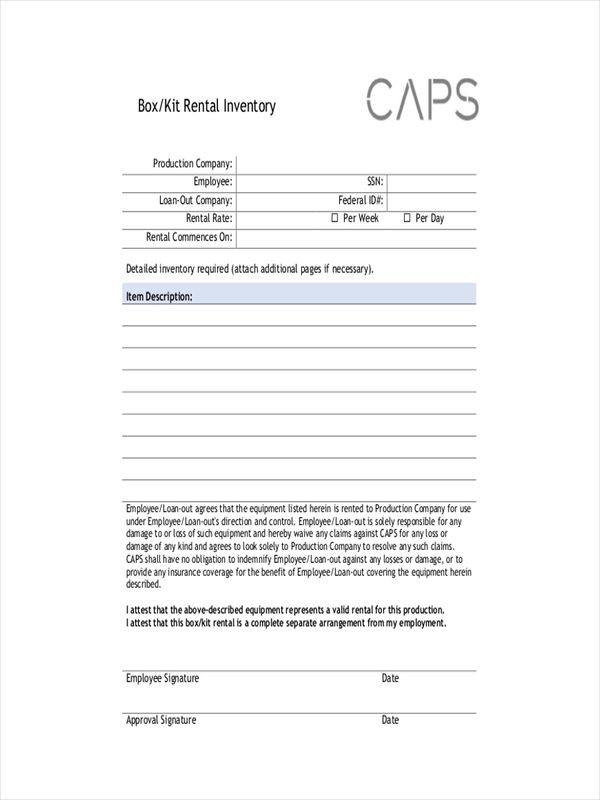 What Is a Rental Inventory? 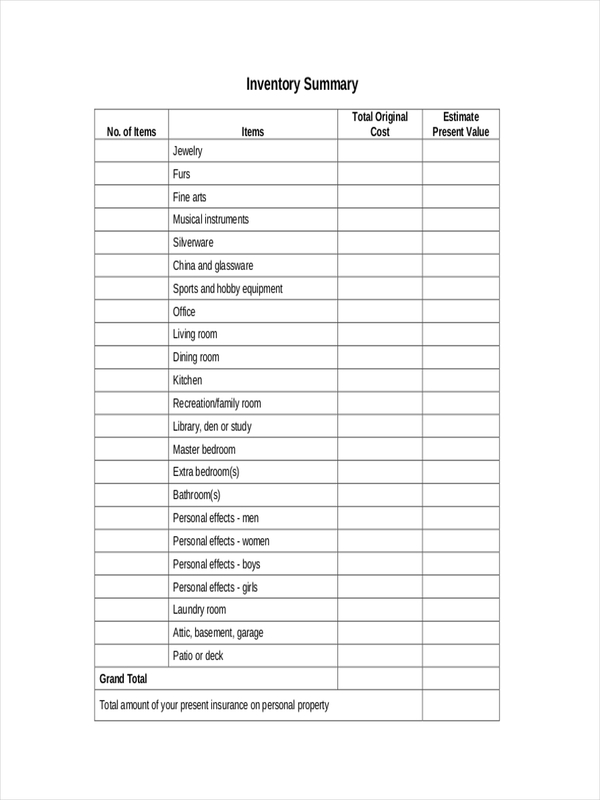 A sample inventory is a list of all the items that is provided in the property you are renting, such as furniture, curtains, and appliances. 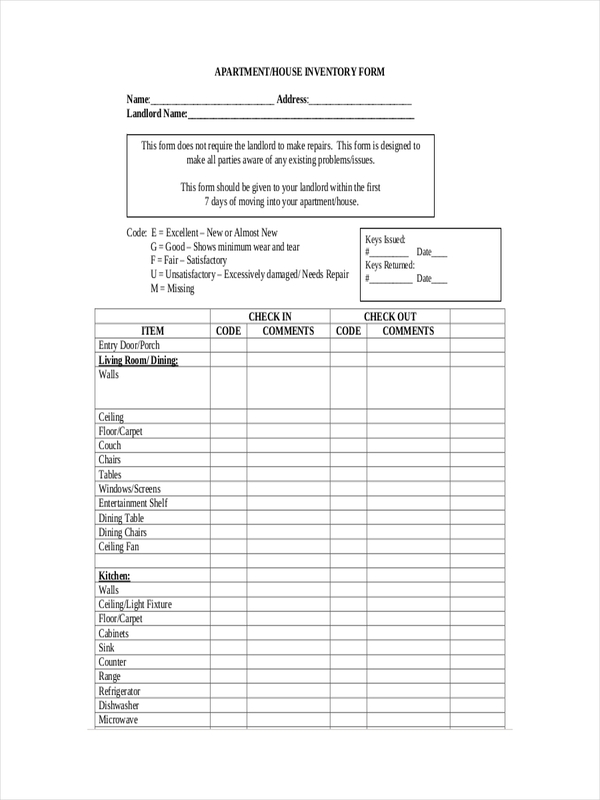 It includes a description of the condition or state that an item is in before you have moved in which should stay the same in the event of your moving out. 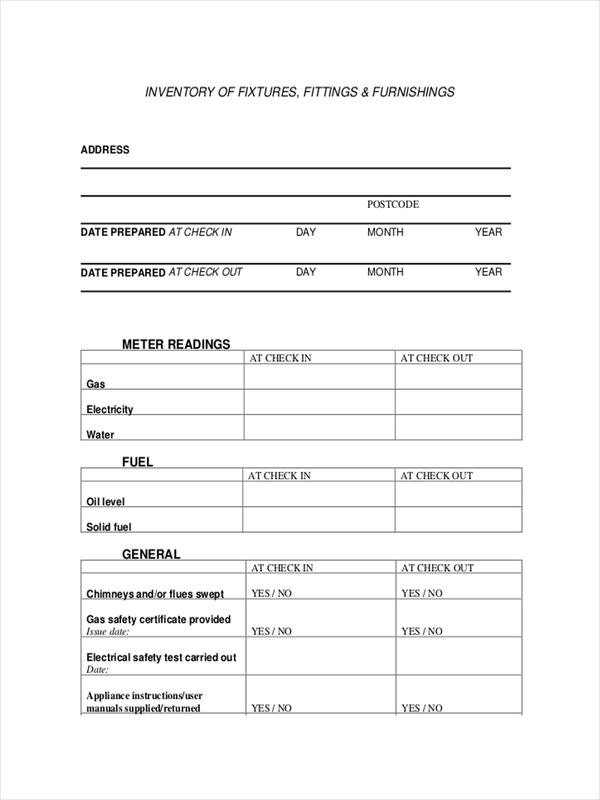 Check and double check if everything written in the inventory is present in the premises or property. You may be signing off at some items that are actually not in the property and would be liable later on to replace them when you move out. Always take note or better yet take photographs of anything that you see wrong with the property. This is to ensure you won’t get charged for something that you did not damage during your stay. 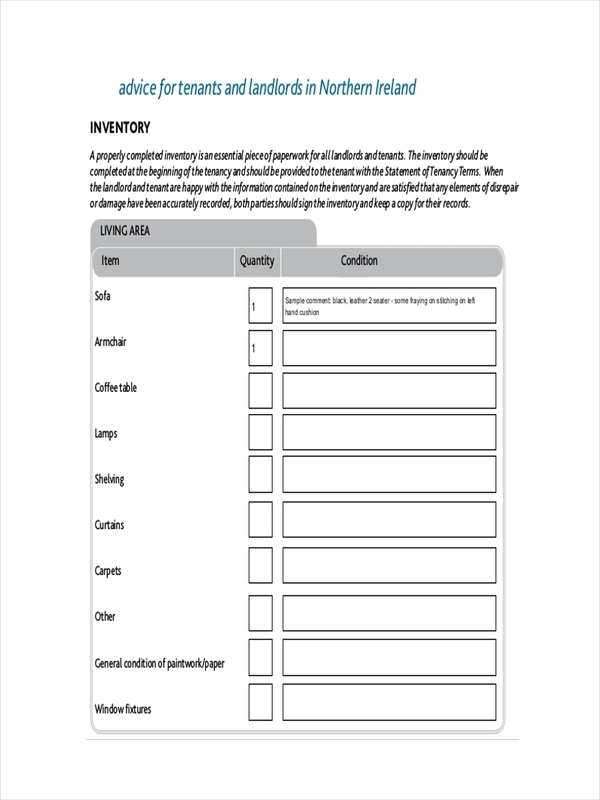 A sample inventory and moving inventory examples in PDF can be found onsite for further information. Examples in the page are all available for download by clicking on the download link button below the sample. What Is the Importance of a Rental Inventory? 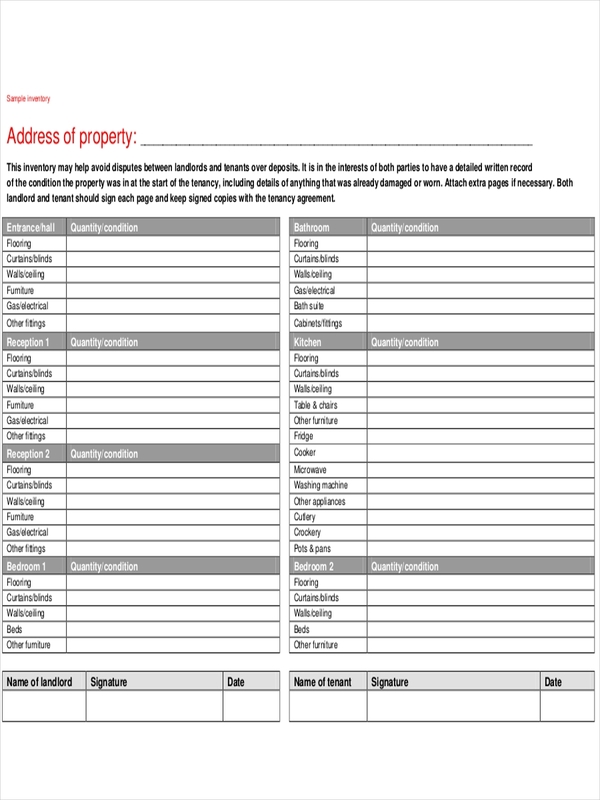 A free inventory is deemed important once disputes arise over the condition of property or any tenant wanting their deposit back. A rental inventory is made to be the main evidence that can be presented in any legal court in case development leads to legal action. 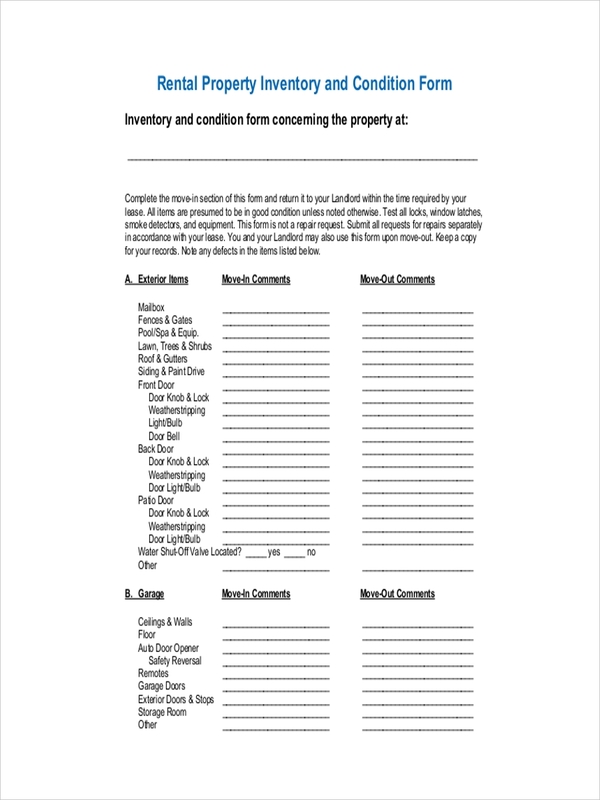 In the preparation of a rental inventory, it is important to consider making a fairly simple but concise list that is easily remembered. Create a sequence in the items named on the list. This makes for easy checking and verifying of an item. Make categories that divide the items where they are located like dining room or bedroom. Make sure to be very descriptive in the state of an item. If written description is not enough then make sure to take a photographic evidence of an item. The rental inventory itself must be, in the most possible sense, written in plain and understandable language preferably in plain and simple English. This would make the document easier to understand and read. 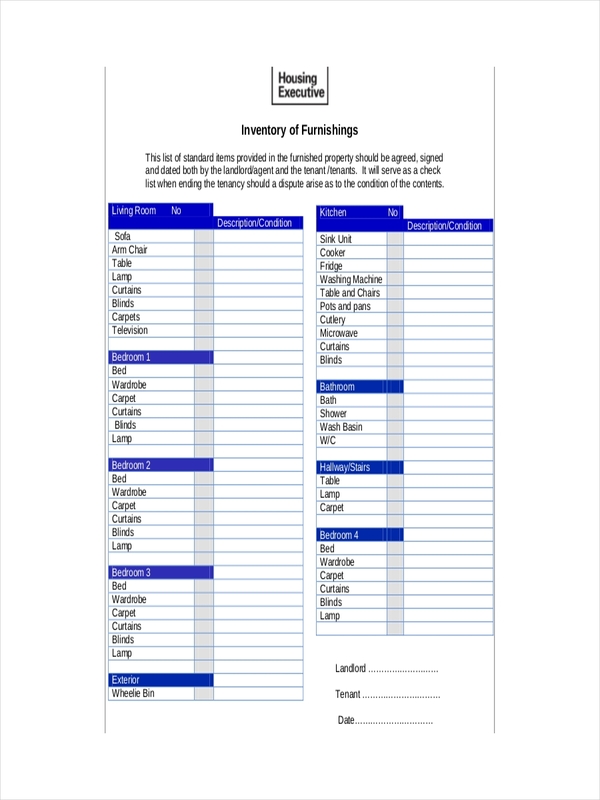 Inventory examples in doc format can be downloaded from the page by clicking on the download link button below the sample.